The Queen of Pop Maddona is famous for her outlandish outfit choices, risque performances and well too often spreading of her long legs. 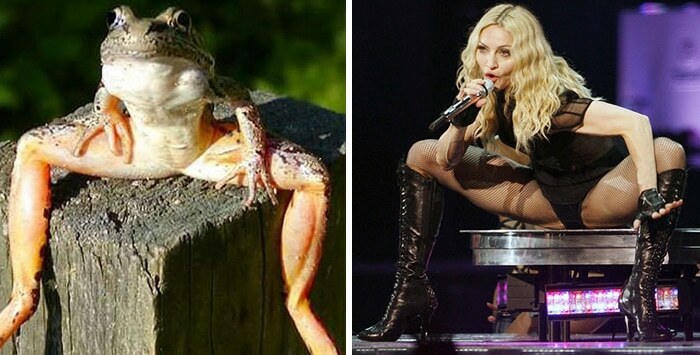 Therefore it comes as no surprise that we have decided that this long-legged frog is Madonna’s animal doppelganger. Okay so she doesn’t actually look like a frog, however, this position is very common for Madonna, especially whilst performing on stage, and so we thought it would be abt to draw the unique comparison.